In the animated side of cinema, the themes are fairly prevalent and not terribly subtle no matter who the studio behind it is. Debunking a creation myth and questioning beliefs are not usually the top choice either and yet, Smallfoot attempts to tackle this topic head on, and in some instances, a surprisingly clever fashion. Migo (Channing Tatum) is a friendly Yeti whose world gets turned upside down when he discovers something that he didn't know existed -- a human. He soon faces banishment from his snowy home when the rest of the villagers refuse to believe his fantastic tale. Hoping to prove them wrong, Migo embarks on an epic journey to find the mysterious creature that can put him back in good graces with his simple community. The animation style of display in Smallfoot is surprisingly remarkable. Though it follows a similar design to other Warner Animation Group films, Smallfoot features some truly gorgeous moments of animated wonder. From vast landscapes to flowing fur, the detail is certainly present to highlight the craft put into making the film look good and stand out from the pack. However, the plot that drives the visuals doesn't quite make it to par. There are some themes present, a majority of which are geared for the younger viewers assured to be in the theater, that really hit in places, but they don’t form a narrative worthy of the deeper ideas it pushes. If Smallfoot is aiming simply to entertain, it’ll get the job done for the 100-minute runtime if nothing else. And somewhere in between the positives and negatives of Smallfoot lies the voice cast. Having every voice be recognizable can be good or bad depending very much on the actor or actress and the character itself. Channing Tatum turns in good work, as does Common, as the Stonekeeper, and Zendaya, who is, in fact, Meechee. But other voices with a more distinct tone like Danny DeVito as Dorgle or James Corden as Percy Patterson stick out, and not in a good way. 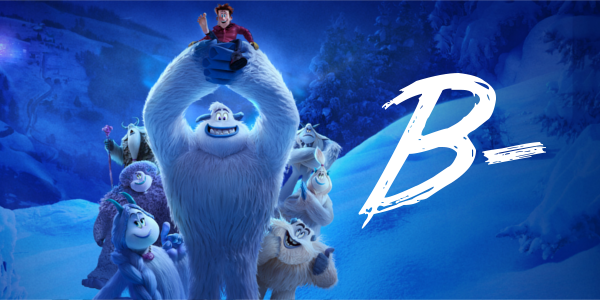 Smallfoot is a decent animated film with plenty to entertain the younger viewers and just enough to keep the adults that inevitably bring them engaged. The animation is wonderful even if the story is run of the mill, and for the most part the voice work is also fairly good. And while the film may come and go now without making a lot of noise, if The Boss Baby could get an Academy Award nomination last year, then this might as well be a guarantee to get one in 2018.